or visit us on Twitter @scifidiner. And check out our YouTube channel. We are a part of the Chronic Rift Network of podcasts. If you have listened to the show for sometime, we would love to have you leave feedback on iTunes. We know not all of you use iTunes, but for those that do, it helps us become more visible. If you don’t use iTunes, your feedback is still valuable. 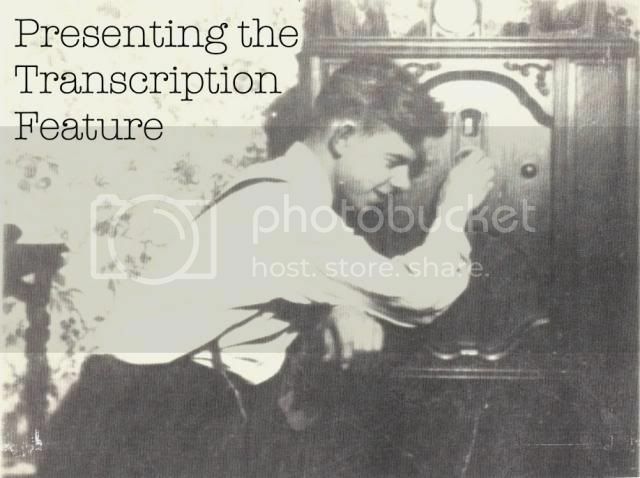 Visit our webpage at http://scifidinerpodcast.com and leave a comment on the show notes or email us at scifidinerpodcast@gmail.com We want to know what you are thinking about what we are saying and what shows you are watching. "I’m delighted to welcome Tom Grey, the director & producer of the Player Piano video series to the show this week. Working alongside him is classically trained composer & pianist Sonya Belousova. They’ve combined their talents to create videos that don’t just cover songs, but add new dimensions to them on the piano and in a video setting. For those of you who miss music videos, you will love Player Piano. So far, they’ve covered “Kaneda” from Akira, “The Unknown Waltz” by David Arnold and that Russian folk song that would be stuck in your head after hours of playing Tetris. Tom and Sonya’s innovative work has garnered critical acclaim from the likes of Stan Lee, Felicia Day and the Nerdist. They’ve just launched an Indiegogo campaign to take this exciting new venture to the next level. In this interview, you’ll hear how this all started and how each of the videos are made. There’s also some good advice in here about collaboration and embracing production limitations as opposed to letting them stop you. A great listen for people endeavoring to make their own shorts and indie films. Enjoy." Comment on this episode here or by writing john@chronicrift.com. We’ve nearly “Crossed” the mid-season line for Season 5 of THE WALKING DEAD, but before the big finale next week we have to bring together nearly our entire group as they prepare for an all-out assault on Grady Memorial Hospital. But will Rick’s plan to kill or be killed encounter resistance from within his own ranks? Say it isn’t so, Daryl! What would Carol and Beth think? Join Arnold and Scott as they zip-tie some of Dawn’s cops and chat about what was good, what wasn’t so good, and what sort of grade the Doctor thinks the episode deserves! Also this episode: Murphy gets a slice of pie as Addy finds herself bewitched by the “Sisters of Mercy” on Z NATION! What will this holiday weekend's box office fair offer in the way of comprtition for The Hunger Games: Catching Fire? It's all on a new The Weekly Podioplex. Check out the full show notes here and comment on the episode or write weeklypodioplex@gmail.com. The Full of Sith Podcast is a show dedicated to bringing the most interesting Star Wars conversations in the galaxy with hosts Bryan Young, Tha Mike Pilot, and Bobby Roberts. For Thanksgiving, it’s two comedy episodes (because there just aren’t any good OTR dramas about Thanksgiving except dramatizations of The First Thanksgiving). First off, meet Eve Arden in Our Miss Brooks, where she plays a refreshingly sardonic high school English teacher who’s not above occasionally offering a zinger at the expense of her students. As Thanksgiving approaches, more and more people invite themselves to her place for dinner – where there’s nary a turkey to be found. Then Jack Benny attends that great Los Angeles event, the annual pre-Thanksgiving football game between UCLA and USC. Jack, Mary, and Dennis drive out to the Los Angeles Memorial Coliseum, Dennis gets lost, and Jack bumps into Frank Fontaine, doing his character of Mr. Silvoney, the inspiration for Pete Puma from the Looney Tunes cartoons. "Are you tired of all the shopping hype at this time of year? Do you think we sometimes lose track of what the holidays are about? Do you wish there was something to remind people to be more charitable to those in need? Great news – we’re spreading the word of Snack Friday. Instead of spending all day mobbed in stores on Black Friday, maybe it’s better to give making it Snack Friday. If you love this idea like we do, don’t be shy about spreading the word everywhere on social media. 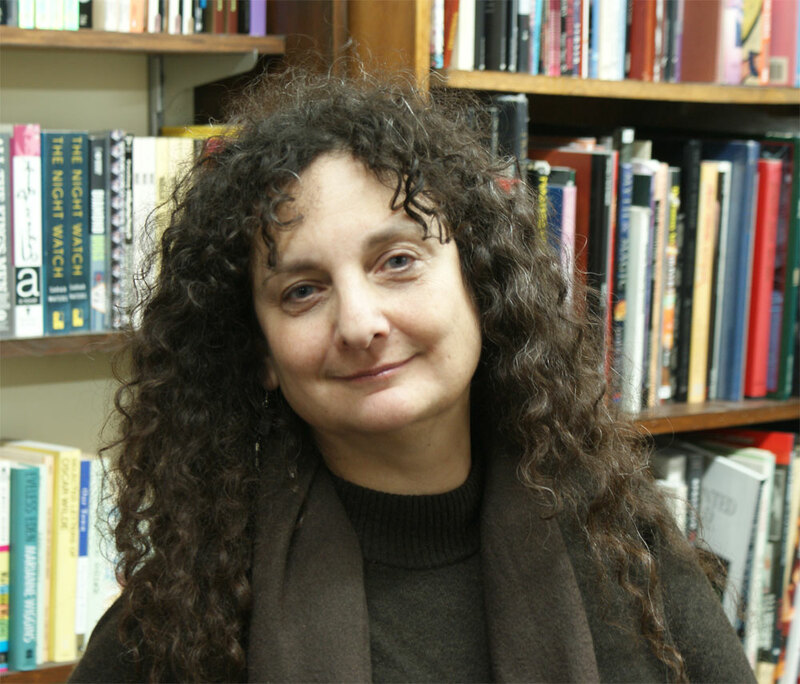 Let’s all help put the charity and giving back into the holiday season:"
Multiple award-winning editor Ellen Datlow has been editing science fiction, fantasy, and horror short fiction for almost thirty years. She was fiction editor of OMNI Magazine and SCIFICTION and has edited more than fifty anthologies, including the horror half of the long-running The Year’s Best Fantasy and Horror. She currently acquires short stories for Tor.com. Ellen is currently tied with frequent co-editor Terri Windling as the winner of the most World Fantasy Awards in the organization’s history (nine). She has also won (with co-editor Windling) a Bram Stoker Award for The Year’s Best Fantasy and Horror #13, and (with co-editors Kelly Link and Gavin J. Grant) a Bram Stoker Award for The Year’s Best Fantasy and Horror #17. She has also won theInternational Horror Guild Award for her anthologies The Dark and Inferno; theShirley Jackson Award for Inferno and Poe; the Locus Award for Best Editor annually from 2005 through 2013, and the Hugo Award for Best Editor 2002, 2005, and Best Editor Short Fiction 2008 and 2009. In addition, SCIFICTION won the Hugo Award for best Web site in 2005 as well as the Wooden Rocket Award as best online magazine for 2005. Ellen was named recipient of the 2007 Karl Edward Wagner Award, given at the British Fantasy Convention for “outstanding contribution to the genre.” She lives in New York. in recognition of the recipient’s overall body of work. There are two useful indices for readers of The Year’s Best Fantasy and Horror series:The SF List and The Sluice. available only to researchers for consultation in the University of Liverpool Library’s Special Collections and Archives Reading Room. special arrangement must be made in order to use the collection. Show 051! We talk #SNACKFRIDAY2014, catchy tunes, the Oxford Word Of The Year, and "May I Suggest..." is all about the Dana Gould Hour podcast. Plus, Handsome Timmy D tells us what's the best thing film composer John Williams ever did. Subscribe today and tell 10 friends! It's a new Dan & Travis Show. Check out all the fun of past episodes by visiting them on the web. Impossible Travia: THEME - VOCABULARY! Read more about scaphism here: it’s something else! What is film composer John Williams’s greatest work? Extra! Extra! Walzak’s ballsac exposed! Travis said to Dan, “May I Suggest… you earify a podcast called The Dana Gould Hour?” – and Dan gives his thoughts. Travis says to Dan, “May I Suggest… you earify the comedy album called Bad at the Good Times by Dan St. Germain ?” – tune in a month from now to hear what Dan has to say! HTD EXPRESS – Subscribers! Look for The Handsome Timmy D Express in your feed! Tim will interview creative folks in the entertainment industry about their process. Free with your Dan & Travis Show subscription! Find us online at thedanandtravisshow.libsyn.com, at Facebook, follow us on twitter @thedanandtravis, add us on Google+, email the MailSac at danandtravis@gmail.com, or find us at The Chronic Rift Network. Carol feels “Consumed,” and as she and Daryl make their way into a post-apocalyptic Atlanta, they must decide not only how to survive but also if they’re still who they are, who they want to be, or just ashes. 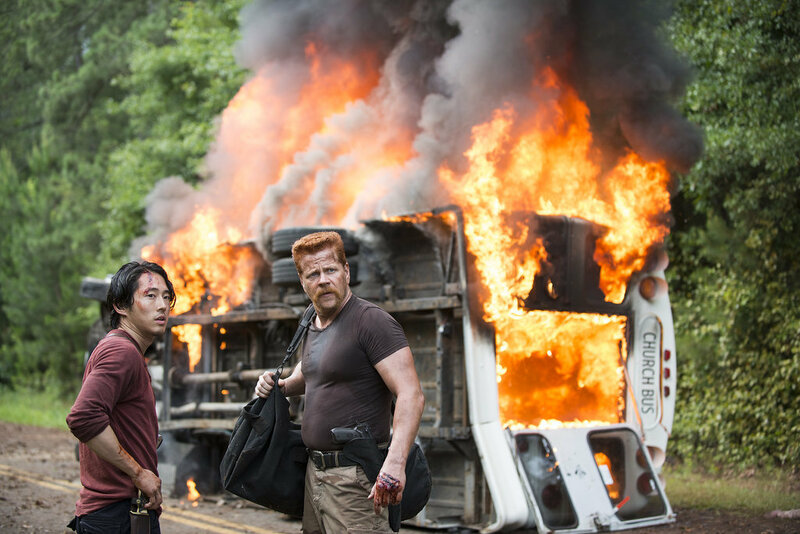 Fire can destroy, but it can also cleanse in the latest episode of THE WALKING DEAD. Join Arnold and Scott as they ponder a painting on the wall and chat about what was good, what wasn’t so good, and what sort of grade the Doctor thinks the episode deserves! And: We take a brief look at GRIMM‘s take on the Jewish legend of the Golem! It's a Bat-sized edition this week as Michael Falkner tells not only about the box office take from last week, but premeires trailers for this weekend's film and tells us about the long awaited release of Batman 1966 on DVD and Blu-Ray. It's all on a new The Weekly Podioplex. 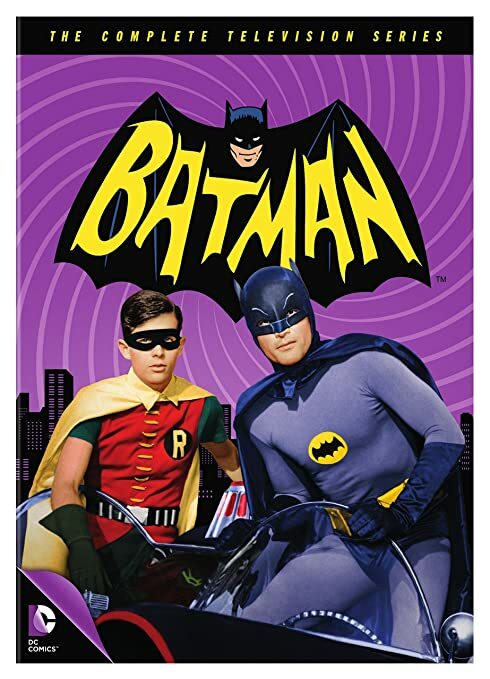 John offers his thoughts briefly on the release of the Batman 1966 television series on DVD and Blu-ray. When it comes to this set, there are three ways of looking at it - the good, the bad, and the dumb. Take a listen and let John know if you agree with him by writing thebatcavepodcast@gmail.com. "What does it take to make an animated show? I honestly have no idea. Fortunately, my guests this week know a ton about it. Thomas Krajewski (not pronounced as it’s spelled) and Jennifer Muro are a pair of animation writers. They also happen to be developing live-action material, are very knowledgable on all things nerdy & geeky and are married to each other! Tom and Jen each have over a decade of experience writing and developing animation shows. They give us a nuts and bolts look behind the scenes of how story ideas are drawn to life. But also how writing animation has helped them when it comes to branching out into writing live-action with an effective economy of words. Before writing scripts, Jen worked in development writing bibles for numerous shows. Tom was nominated for an Emmy in Outstanding Writing In Animation for his work on Nickelodeon’s “The Fairly OddParents.” And recently his live-action script was a finalist in the Page Awards and a winner in the Script Pipeline Screenwriting Contest. And we also geek out about Doctor Who & Buffy The Vampire Slayer while agreeing that the world is ready for more female action heroes. Tom & Jen are smart, fun writers making this a smart, fun listen. Enjoy! Much of the conversation in tonight’s show revolves around the Antare’s rocket disaster, Marvel Movie Madness (The Age of Ultron Trailer, Captain Marvel, Black Panther, Captain America: Civil War),The Flash, Agents of SHIELD, Grimm, Constantine, and more. Jules joins the boys for the entire show, men's cancers is the subject of Impossible Travia, and a Snack Friday update. It's a new Dan & Travis Show. All Inclusive Resorts: Si? No. Ambulance Adventures or "Don't Do the Drugs, Kids"
Is that a chainsaw in your shorts or...oh, it is. It's election season once again and the fair citizens of Gotham City have the opportunity to vote for mayor. It would appear that Mayor Linseed would easily win as he is a fine, upstanding politician, but then the Penguin throws his top hat into the ring. As with any political process, something new gets the attention of the public, even that of an arch-criminal running for office. There can only be one man who can stand up to this political machine - Batman. Joining John to discuss this unusual episode that has many of the tropes of a Batman episode save for any real crime solving is writer/editor Glenn Greenberg. Get your hands on the Batman 66 series via our link here on Amazon. In doing so, you not only have this excellent, remastered set that you can watch and follow along the podcast with, but you support the podcast as well. Comment on the episode here or write thebatcavepodcast@gmail.com. Take a moment to rate the episode by using our star system at the bottom of this entry. Glenn Greenberg is an award-winning editor and writer. He worked extensively for Marvel Comics and DC Comics on such properties as Spider-Man, the Hulk, Superman, Star Trek, Star-Lord, the Silver Surfer, Thor, Iron Man, and Dracula, as well as Web-based tie-in projects for the film Superman Returns and the weekly comic-book series 52. His work has also appeared in such publications as TIME Magazine For Kids, Scholastic News, Time Out New York, Back Issue, and Smoke. Glenn has also written several works of proseStar Trek fiction for Simon and Schuster, and is now making the jump to The X-Files for an upcoming fiction anthology that will be published by IDW. He avidly covers all aspects of popular culture on his blog, “Glenn Greenberg’s Grumblings” (http://glenngreenbergsgrumblings.blogspot.com), and welcomes anyone and everyone to check it out. Cyborgs - A Bionic Podcast: "The White Lightning War"
Steve takes on moonshiners and even more facial hair in order to uncover a corrupt government official. Joining John and Paul is author Dayton Ward. Purchase the season three Universal DVD release of The Six Million Dollar Man. In doing so, you help support the podcast. Comment on the episode here or write abionicpodcast@gmail.com. 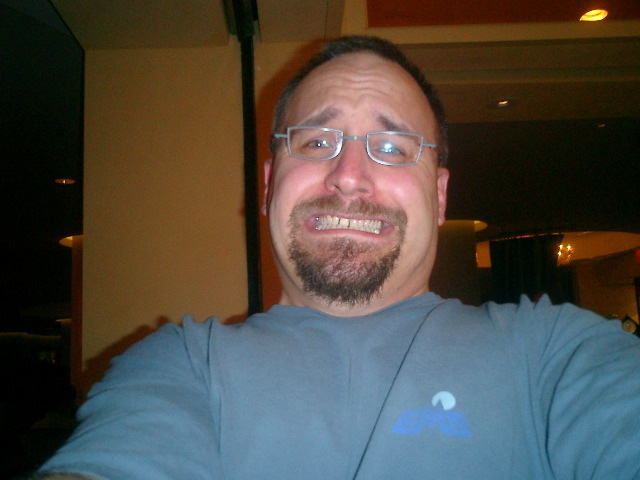 Dayton Ward is the author of numerous media tie-in fiction works in such realms as Star Trek and The 4400. He is also the author of such original works as Counterstrike, The Last World War, Book 2 and The Genesis Protocol. When he's not writing or working for a software design firm, he's busy indoctrinating his two lovely daughters into the worlds that have so seriously warped his mind. In 2000 Myles took on the central role of Ceri Owen (Née Lewis) in the BBC Wales drama Belonging. Her longest role to date, Myles played Ceri from the series' first episode through to its final series in 2008; returning for a one off special in 2009. In 2001, Myles undertook a role in the television film Score and the TV mini-series Tales from Pleasure Beach. From 2003, Myles based herself in Stratford upon Avon, initially playing Lavinia in the Royal Shakespeare Company production of Titus Andronicus, for which she received the Sunday Times Ian Charleson award in 2004. She has also played Bianca in The Taming of The Shrew and in 2005, appeared opposite Michael Gambon in Henry IV, Part I and II at the National Theatre. Myles appeared in the ITV drama Colditz in 2005. She took a supporting role in the Doctor Who episode "The Unquiet Dead", playing servant girl Gwyneth. This brought her to the attention of Lead Writer Russell T Davies, who would progress to create and produce Torchwood. Considering her to be "one of Wales' best-kept secrets", Davies wrote the role of Gwen Cooper in Torchwood specifically for Myles. Speaking on her casting, Myles stated that having the part written for her was like having her "own personal Oscar." 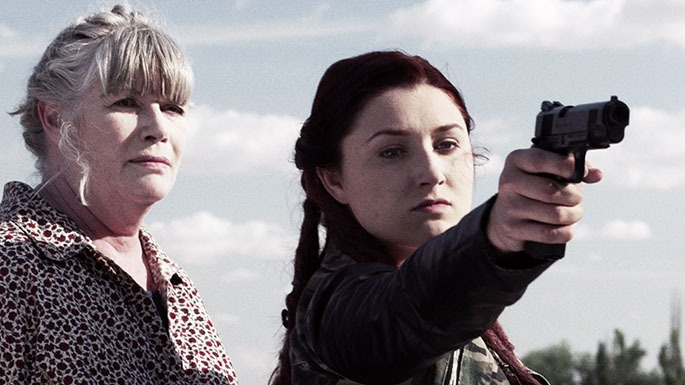 Gwen, an audience surrogate character, is characterised by Myles as Torchwood's "social worker", who "can run and fight and stand in her own corner and win." Her role in Torchwood also led to Myles making a second appearance in Doctor Who, for its Fourth series' finale, alongside Torchwood co-stars John Barrowman and Gareth David-Lloyd. Myles has appeared in every episode of Torchwood. She portrayed the character of Maggy Plornish in Andrew Davies' 2008 adaptation of Little Dorrit, which later went on to win seven Emmy awards. Early 2008 also saw the actress host a radio show centred around Welsh boxer Joe Calzaghe and narrate a short story, Sorry for the Loss by Bridget Keehan, both airing on BBC Radio Wales. 2009 saw her star in the award winning independent Welsh film A Bit of Tom Jones as well as the one-off Drama, Framed, for BBC Wales, alongside Trevor Eve. In July 2010, Myles announced she would appear in an original BBC Cymru Wales TV series, Baker Boys, co-written by Helen Raynor and Gary Owen and airing in early 2011. 2011 also saw Myles provide the voice of the Dalish elf Merrill in the Bioware video game Dragon Age 2. In July 2011, to coincide with Torchwood's fourth series Myles presented part of a BBC Wales Documentary entitled Wales and Hollywood, which featured the actress travelling to the Hollywood Walk of Fame to find the Welsh talent honoured there. In 2012 Myles returned to the stage in Zach Braff's play All New People, ran for ten consecutive weeks at the West End's Duke of York's Theatre following runs at the Manchester Opera House (8–11 February 2012) and the King's Theatre in Glasgow (14–18 February). In 2013 she took the title role in the BBC1 drama Frankie, filmed in Bristol, which follows the life of a district nurse who cares more about her patients than her own life. John and Dan Greenfield of the 13th Dimension website complete the week of special podcasts by putting together ten stories from Batman 1966 that should be included in any marthon viewing. As the DVD and Blu-Ray sets are about to come out and the holidays are approaching, maybe it's time to sit around the TV with the family and have some fun fighting crime with Batman and Robin. Comment on the episode here or write batcavepodcast@gmail.com. Dan Greenfieldis the editor and co-creator of 13thDimension.com, a website devoted primarily to comics and pop culture, past and present. To him, the basic food groups are Batman, Planet of the Apes, Star Trek (the Original Series), James Bond, the Beatles and the Stones. But if he had to he'd be able to subsist on Batman alone. Channel 11 in New York was his favorite syndicated channel as a kid -- you can guess why -- followed closely by Channel 5. Channel 9 didn't really enter into it unless he was home sick and there wasn't much else on. He's married to his remarkably patient wife Wendy and his best sidekick is his son, Sam. They have two cats, Lex and Zod. The “Self Help” section just isn’t enough when you’re facing a zombie apocalypse, but if you’re taking a scientist to DC to save the world, it could provide cover for some much needed rest (or…). Abraham is about to learn, however, that you can’t trust anyone in a world of THE WALKING DEAD. Join Arnold and Scott as they load up the gas tank with glass and chat about the latest episode: What was good, what wasn’t so good, and what sort of grade does the Doctor think the episode deserves? 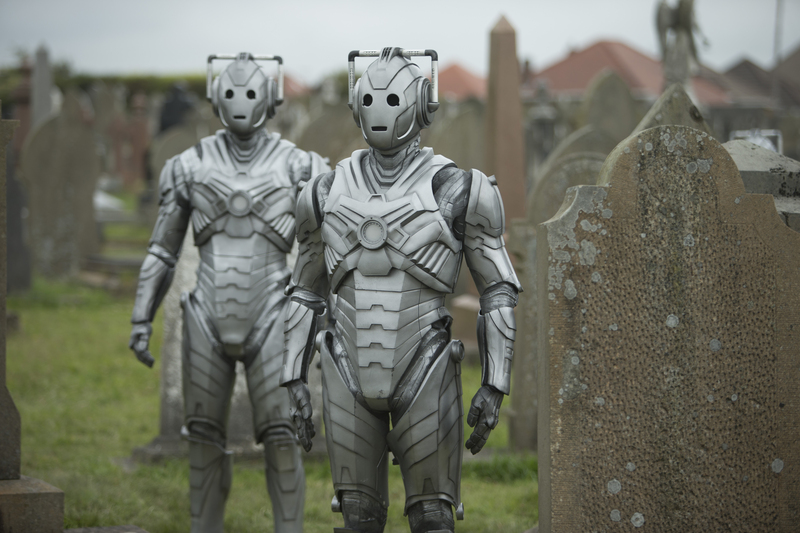 The Master is now Missy, Cybermen are clawing their way out of graves around the world, and even the Doctor, Clara, and UNIT may not be able to prevent the Army of the Dead from overwhelming the Land of the Living in the DOCTOR WHO Series 8 finale, “Death in Heaven!” Scott and Arnold definitely need help here, and who better to join them for the final showdown of Series 8 and a look back at Peter Capaldi’s first run of episodes than guest co-host SATINE PHOENIX (who last joined us for “Time Heist”)? Miao miao! Dan & Travis offer a special episode with the topic of jazz. If you had one…David Mamet film (written and/or directed) to recommend to someone to convince them to experience the rest of his catalog, which would it be? Are we still award winning? Day four of our Batman 66 Week takes John and Dan Greenfield of the 13th Dimension website into a discussion of the best moments that stand out for the two in the television series. There are quite a few, but we cover some of the top ones. 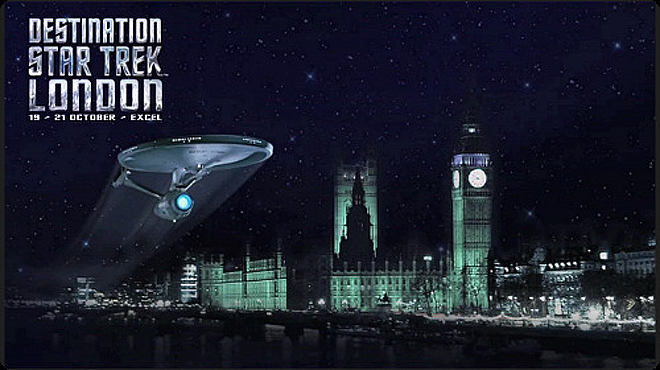 Much of the conversation in tonight’s show revolves around Star Trek London, Star Wars Rebels, Doctor Who, The Flash, The Walking Dead, and more. We start off November with the return of The Great Gildersleeve. This is the episode immediately following the Halloween episode from last time. Gildy is still in the doghouse with Leila Ransom. Meanwhile, it’s the middle of World War II, and nice cuts of meat are hard to find due to rationing. When Gildy procures a prime pot roast, that roast’s fate on his table is far from assured. Then Sydney Greenstreet debuts as Nero Wolfe in The New Adventures of Nero Wolfe. As always, Wolfe is reluctant to take any case that will interferer with his orchids, his reading, and his gourmet meals. When a woman arrives asking him to investigate a treasure map her father has bought, he dismisses her. Then the bodies start to pile up . . .
"November 15th, Midnight PST will be the final deadline for the 2015 Blue Cat Screenplay Competition. I’m very delighted that due to some last-minute scheduling, the founder and judge of Blue Cat, screenwriter, director and teacher Gordy Hoffman kindly took time out to tell us about what this very trusted screenwriting contests. Blue Cat is in its sixteenth year and has helped launched numerous writing careers, including “Rodham” screenwriter Young Il Kim and “Prisoners” co-writer Aaron Guzikowski among many others. Gordy has been a huge asset to aspiring screenwriters since he launched Blue Cat and you’ll hear why as shares some of his great insights here. Every script that enters Blue Cat gets written feedback. Gordy tells us how writers should handle and address that feedback. Gordy also tells us what a writer should be concentrating on before they enter any contest. The good news, it’s all about the writing and not marketplace dictates. If you’re an aspiring or amateur screenwriter, inside or outside LA, looking for a door to get into the business, contests like Blue Cat are a great way. Find out why here and Enjoy!" For day three of our week-long look at the Batman 1966 series, John and Dan Greenfield of the 13th Dimension website discuss the sometimes elaborate, sometimes more mundate cliffhangers and death-traps the Dynamic Duo faced each week in their war on crime. A break from the standard Halloween fare of mad slashers and paranormal infestations, the new film HORNS brings a decidedly hometown slant to an examination of the good and evil that lives in all of us. 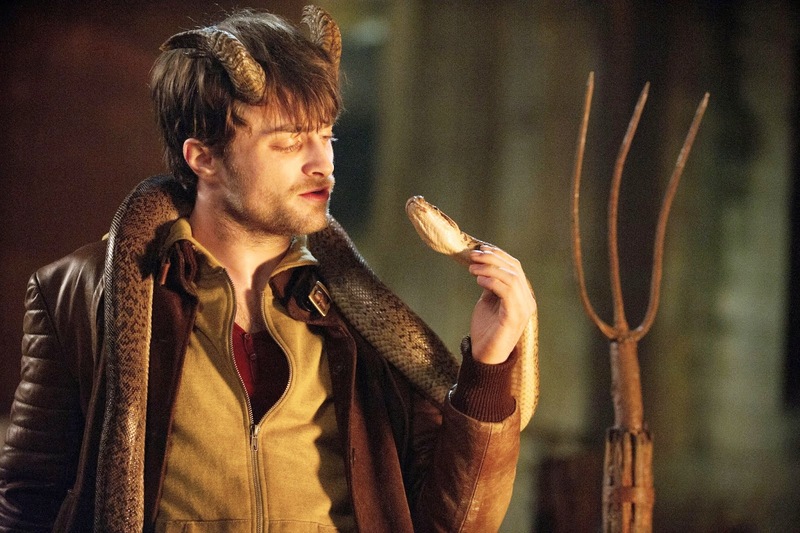 Daniel Radcliffe plays Ig, a man (yes, man — we’re a long way from Hogwart’s) whose status within his small town after he’s accused of murdering his girlfriend isn’t at all helped once he starts growing a very Satanic pair of horns on his head. That these new appendages also compel people to confess their darkest desires and allow Ig to control their actions could be the double-edged sword that indicts him for his sins, or helps him find his love’s true murderer. Director Alexandre Aja takes the wry intensity he brought to such projects as the remake of THE HILLS HAVE EYES and PIRHANA 3D, and turns it to a more Stephen Kingesque pallet with HORNS — not surprising, since the original novel was written by King’s son, Joe Hill. I got a chance to talk with Aja about his decision to steer his style in a new direction, working with Radcliffe, and more in this latest podcast. Click on the player to hear the show. Comment on the episode here or write podcast@cinefantastique.com. Is Danny dead? The Nethersphere may be an afterlife (or just more life), but it may also hide a much darker secret, with water that obscures the inorganic shell around skeletons in a honeycomb of tombs, and a leader that has clearly gained mastery of Time Lord technology. When the Doctor learns who and what is behind this new threat to all of humanity, he might wish he was dead! Scott and Arnold have two hearts, and they both belong to you as they discuss the first part of the Series 8 finale for DOCTOR WHO! “Slabtown” once stood where Grady Memorial Hospital now does, but the moral questions are still there as a group of survivors struggle to maintain their own sense of order in a city long since lost to the THE WALKING DEAD. When Beth awakens in this place, will it be a new home or a new prison? Join Arnold and Scott as they fill a tray with extra guinea pig and chat about the latest episode: What was good, what wasn’t so good, and what sort of grade does the Doctor think the episode deserves? Is Jazz dead or does it just smell funny? Dan said to Travis, “May I Suggest… you earify a record album called Metal Fatigueby Allan Holdsworth?” – and Travis gives his thoughts. Dan says to Travis, “May I Suggest… you eyeify the film called Run Ronnie Run?” – tune in a month from now to hear what Travis has to say! A slow Halloween weekend allowed Ouija to remain at the top of the box office last weekend. 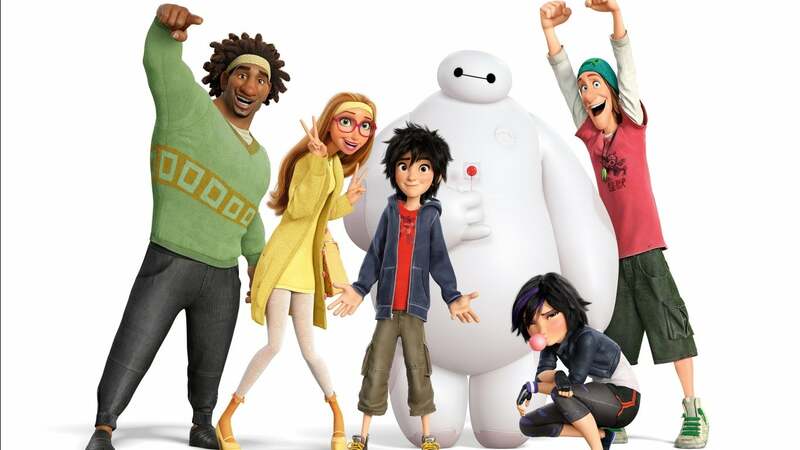 Two new high end movies are premiering though offering an early holiday season start to the box office. There's this and Quantum Leap on DVD and movie news and more on a new The Weekly Podioplex. It's day two of our week-long look at the Batman 1966 series and John and Dan Greenfield of the 13th Dimension website take on the gadgets of the series. As much as everyone likes to point out how much Star Trek was so futuristic, here was Batman, set in modern times, and featuring a number of futuristic gadgets. With Matt away, Anthony invites friends Lance Myxter & Chaz Marler over to guest host. Format be damned!! Comment on the episode here or write thecardboardjungle@gmail.com or call (858) 236-9102. Recently, our illustrious con going cohost M. returned from New York Comicon, bringing with her a slew of loot, some interviews, and a virus to boot! No, it wasn’t Ebola. In this episode she shares what she experienced at this four day event (can someone say Batman?). Believe me; she’ll have you wanting to go next year. New York Comic Con NYCC New York Comic Con is the East Coast’s biggest and most exciting popular culture convention. In the first in a weeklong series looking at different aspects of the Batman 66 series, John is joined by Dan Greenfield of the 13th Dimension website to discuss the various villains that have appeared on the show. The two offered their thoughts on three villains each, for good or for bad. Science fiction writer Scott Pearson (Star Trek: The Original Series: The More Things Change) and his daughter discuss the books, TV shows, comics, and movies that are currently feeding their geek. With a shout-out to their favorite restaurant in Duluth, Minnesota. Plus, soda. Bonus: A PSA on wearing your seatbelts and how to recover from drifting off the freeway. Hey, it’s potpourri. "All Hallow’s Eve is upon us soon and if you’re like me, you want to watch, rewatch or discover some horror movies this week. To that end, I’m very excited that Rick Dominicus sat down with me this week to discuss that very subject. Rick’s been working in Hollywood for over 14 years now as a librarian, archivist and assistant editor for hit shows like “WWE Legends House,” “The League” and “Curb Your Enthusiasm.” An assistant editor does not get the editor their coffee and dry cleaning. The job of an AE is actually managing and organizing enormous volumes digital media making it efficiently accessible. When he’s not making editors lives easy, Rick is making his own life and his friends’ life easier with a vast collection of movies from all over the world. Rick puts the word “cinephile” to shame and he kindly took time from his hectic workload on the reality show staple “Shark Tank” to give us a detailed guide on both iconic and hidden gem horror movies. Films from Europe, the far east and from various generations are discussed. And in the end, we transition from horror to horrifying as we delve into movies that challenge the bravest viewers from whatever time of year. A great listen for anyone looking to discover movies off the beaten paths." Time travel continues to be a theme for Dan & Travis as they marvel how the future may finally be catching up with our predictions from the past. -Is that a Scroguard covering your pelvis or are you just happy to see me? 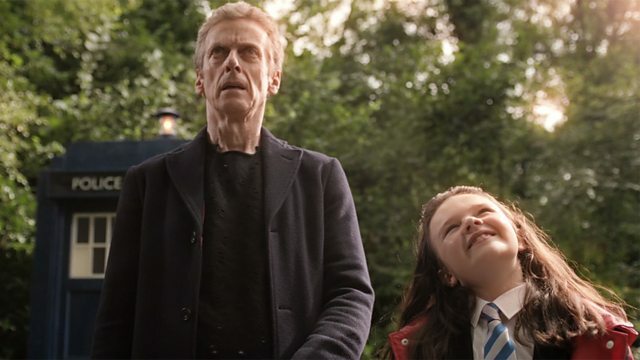 Scott and Arnold get lost in the woods – very lost – as the Doctor, Clara, Danny, and a bunch of kids we’ve never met before and will never see again attempt to puzzle out the mystery of a spontaneous worldwide forest. What do the trees want? Does it have anything to do with a solar flare about to strike the surface of the Earth? And is the best course of action just sitting back and doing nothing at all? Join Scott Alan Woodard and Arnold T. Blumberg as they wish they had done the same rather than watch the latest episode of DOCTOR WHO! “Four Walls and a Roof” are all that stand between Rick’s people and Gareth’s Hunters; when the time comes, which group will have what it takes to make the most brutal choice of all? And will a promise be kept, no matter what the cost? Join Arnold and Scott as they wrestle with their morality and chat about the latest episode of THE WALKING DEAD! 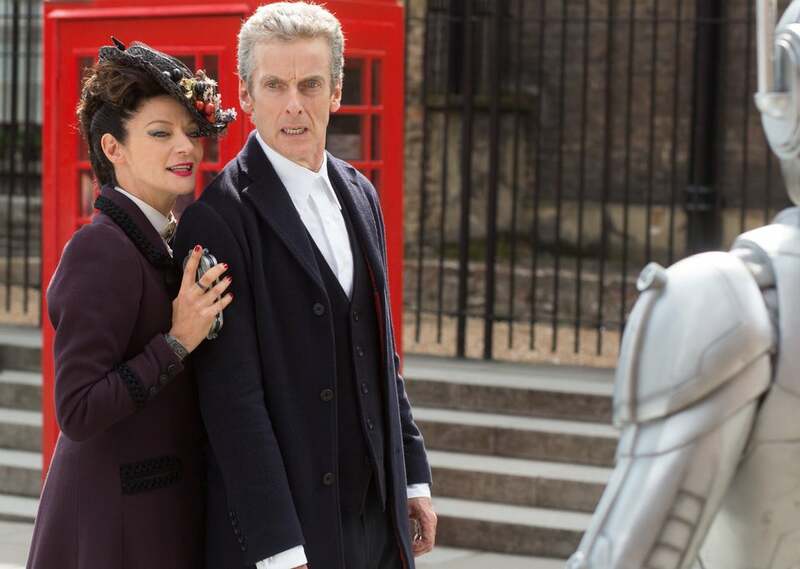 What was good, what wasn’t so good, and what sort of grade does the Doctor think the episode deserves? Also this episode: Z NATION: “Welcome to the Fu-Bar” & a Special Interview with Z Nation’s Craig Engler!Show Music: “Bitter Pill” (feat. Vosmoy) by Still Pluto. A fan run media event celebrating all things Pacific Rim, Pop-Culture, SciFi, Fantasy, Film, and so much more!With a convention aiming to bring you an overload of high quality, specifically tailored goodness you can bet that Shatterdome Con put itself in the fans' seat when seeking out these special guests. Shatterdome Con is excited to offer some of the best in the industry from Actors, Film Makers, Effects Artists, Authors, Screenwriters, Comic Artists, Designers, Costumers, Innovators and so much more... There's a reason Shatterdome Con's tagline asks: Can you handle the neural load? Come join in the guest talks and panels, Q&A Sessions, Special Presentations, Workshops, Autographs, Photo Sessions, and meet your favorite guests. Standing at an immortal size of 6'-10" tall, ROBERT MAILLET, is a French Canadian from Eastern Canada, who pursued his dream to become a Professional Wrestler in the W.W.E. from 1997-1999. He first brought the confidence and poise learned in the ring to the big screens with his performance as the terrifying Uber Immortal in Zack Snyder's 300. He has also appeared as the ominous and powerful Dredger in Guy Ritchie's Sherlock Holmes and the unstoppable Minotaur in Tarsem Singh's Immortals. Some of Robert's recent accomplishments include: The Mortal Instruments: City of Bones, Percy Jackson: Sea of Monsters, as the Russian Jaeger Pilot Aleksis Kaidanovsky in Guillermo del Toro's Pacific Rim, the upcoming Brick Mansions and The Strain on FX. 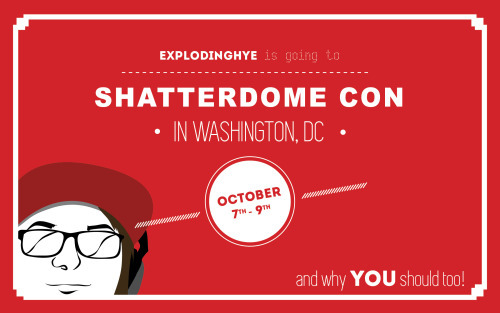 Shatterdome Con is honored and thrilled to have a member of Chero-Alpha with us represented! Heather Doerksen (the O is silent). Standing at almost 5'10", this Canadian-born actress is hard to miss. Heading into college, her goal was to study Biological Science because it would be "a practical and reliable career choice", but it took one influential acting class to convince her to switch her major. She graduated with her BFA in Theatre from Simon Fraser University in British Columbia. Heather landed her first screen roles on 'Smallville' and 'The L Word' in 2005. Since then, she has continued to shine in feature films and TV series. STAR TREK VOYAGER, STAR TREK GENERATIONS, iCARLY, SAMANTHA WHO? TIM RUSS has been working as both an actor and musician for the past twenty-five years. His talents encompass a wide spectrum of the performing arts including composing, musical performances, writing, producing, directing, and voice-over. His acting credits include; “LIVE FREE OR DIE HARD,” “THE HIGHWAYMAN,” “THE PEOPLE NEXT DOOR,” “STAR TREK-VOYAGER,” “SAMANTHA WHO,” and "iCARLY." As a producer Tim headed up a number of projects including the feature film, “EAST OF HOPE STREET” and an award winning children’s book/audio CD entitled, “BUGSTERS,” published by Wood’s N’ Water Press. Mr. Russ has also entered the TV/Film directing arena with credits including, “STAR TREK: VOYAGER,” the feature films, “STAR TREK: OF GODS AND MEN,” “NIGHT AT THE SILENT MOVIE THEATER” and "STAR TREK: RENEGADES." Tim recently completed a season doing the voice of “Solomon” in Cartoon Network’s, “SYMBIOTIC TITANS,” as well as several Video Games, and 6 audio books. John is best known as Dak, Luke Skywalker's back-seater in the Battle of Hoth, The Empire Strikes Back. He also appeared in the film substituting for Jeremy Bulloch as Boba Fett on Bespin when Boba utters his famous line to Darth Vader, "He's no good to me dead." Currently, he is a regular contributor to the Official Star Wars Blog. 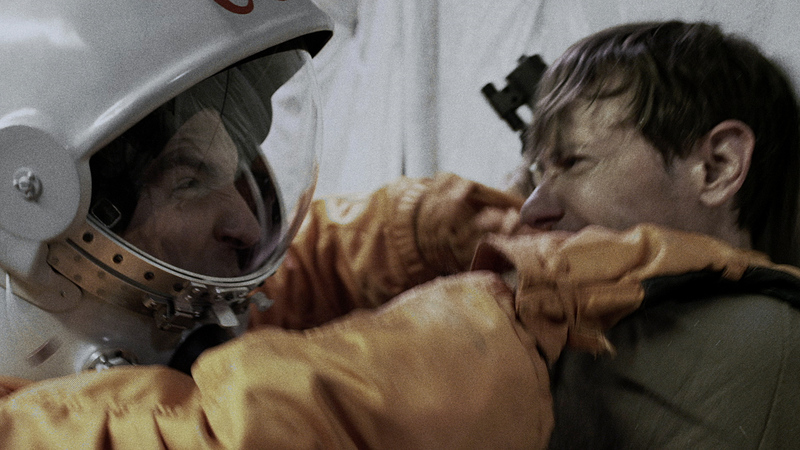 "Beyond the Galaxy", fans know John from roles in epic films like A Bridge Too Far, Superman II and Flash Gordon and in the BBC television series Oppenheimer. A veteran performer, he appeared on London’s West End stage and New York’s Off-Off Broadway as an actor and musician. When not acting, singing or playing guitar, he was a lighting and sound technician affiliated with London’s White Light Electrics working on such classic productions as The Rocky Horror Show, the Royal Shakespeare Company’s Nicholas Nickleby and thought-provoking plays by celebrated playwright David Hare. A published author, John’s Backstory In Blue: Ellington At Newport ’56 is a behind-the-scenes look at a legendary moment in American cultural history when a performance of the great Duke Ellington Orchestra almost caused a riot at the third Newport Jazz Festival. John’s plays have been produced in New York and Washington, notably his award-winning Hubris. In addition to signing and sitting on panel discussions at Shatterdome, he will be supporting the 501st who will be fundraising for the Travis Manion Foundation. The Foundation assists veterans and the families of fallen heroes by serving community and country and by fostering strength of mind and body to create a generation of future leaders. .
Daniel Logan, born in New Zealand, started acting when he was 10 years old. He got his break when Auckland children's rugby teams were being scouted to find a boy for a TV commercial. After auditioning with hundreds of other young rugby players, Daniel got the part, his first acting role, playing a little boy who gets knocked into the mud by Auckland rugby star Michael Jones. He was noticed by other casting agents and that break led to more commercials and TV appearances, including a recurring role in episodes of the New Zealand medical series "Shortland Street" and a guest appearance in international hit "Hercules: The Legendary Journeys." Daniel also starred in the short film, "Falling Sparrows" and provided the lead & supporting voices in 2 animated series' "Tamota" and "Takapu." He also had a part in "The Legend of Johnny Lingo." At the top of this young actors growing resume sits "Star Wars: Episode II - Attack of the Clones," with the coveted role of Boba Fett. Playing Boba Fett required more then a love of action, it also required patience. Daniel recalls being next to blue and green screen back drops through seemingly endless special effects takes. At one point, a series of 82 different shots of Daniel were done for a special effects sequence of clones that would only last a few seconds on-screen. He knows all the work was worth it, and is very proud and honored to be a part of the Star Wars legacy. In 1997 Albin Johnson was coping with the loss of a leg from a car accident when he heard the news that the Star Wars trilogy was set to be re-released worldwide. Finding inspiration in the movies they loved since childhood, he and a friend set out to acquire the armor of their favorite character in the films, the Imperial Stormtrooper, just in time to appear at the movie premieres. Public response was so strong that Albin launched a website showcasing his armor and before long Stormtroopers from around the world started calling. The sight of so many dedicated troopers prompted him to recall his father’s tales of WWII and the camaraderie he shared with his fellow pilots. So Albin created a fictional Imperial unit named the 501st service to Darth Vader himself, and re-launched the website as a gallery for displaying pictures of his fellow costumers in the role of heroic soldiers. Over night the 501st, which Albin nick-named “Vader’s Fist”, became a Star Wars sensation among fans and in thirteen years grew to over 5,000 members in 43 countries. Today the 501st recognized part of the Star Wars universe. The Legion works closely with Lucasfilm and its partners on projects large and small. The Legion’s local units, called Garrisons, volunteer in their communities and engage regularly in charity work. In 2007 George Lucas invited 200 of the 501st Pasadena Rose Bowl Parade. Today the group continues to spread the magic of Star Wars at product releases, conventions, children’s hospitals, and charity events. Albin has also started a version of the 501st Galactic Academy. The Academy website showcases pictures of young fans who want to get in on the fun. And in 2006, following the death of his daughter Katie from brain cancer, Albin’s family was honored by another Star Wars club, the R2 Builders, when they answered Katie’s wish to have a pink version of R2-D2 named after her. R2-KT was born, and soon after she was inducted as an actual character in the Star Wars universe when she appeared in the series Clone Wars. Today “KT” travels the country appearing at events, raising awareness of pediatric illnesses, and spreading joy to Star Wars fans everywhere. The Galactic Academy at www.galactic-academy.com, and R2-KT’s website at www.r2kt.com. CHERALYN LAMBETH - FAN GONE PRO: DESIGNER / COSTUMER / PUPPETEER / AWESOME!